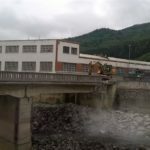 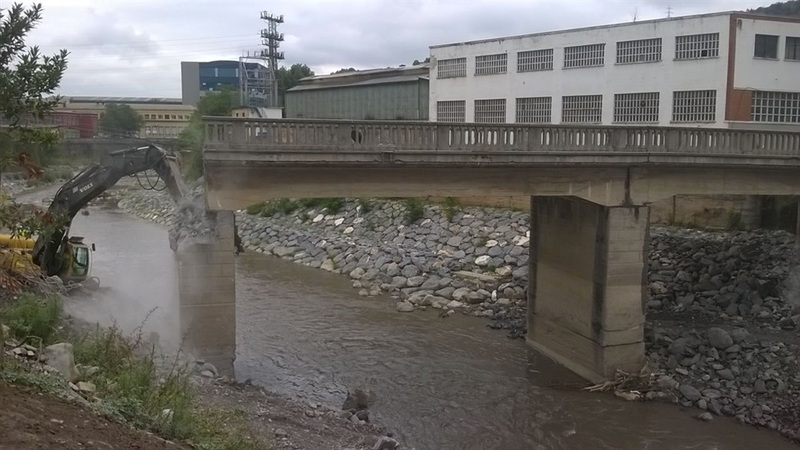 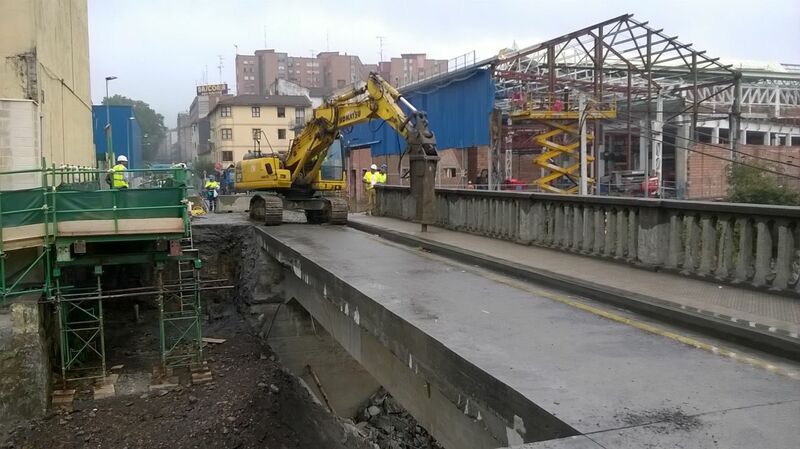 In order to increase safety of the floods of the Ibaizabal when passing through the industrial areas of Basauri, Galdakao and Zaratamo, the replacement of this infrastructure replaces the Bridgestone viaduct in the channeling project of the Ibaizabal-Nerbioi that is carrying out the Basque Water Agency, URA. 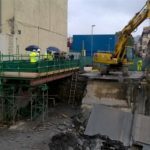 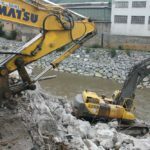 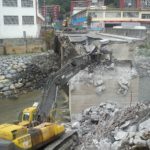 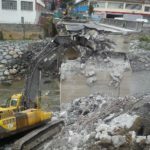 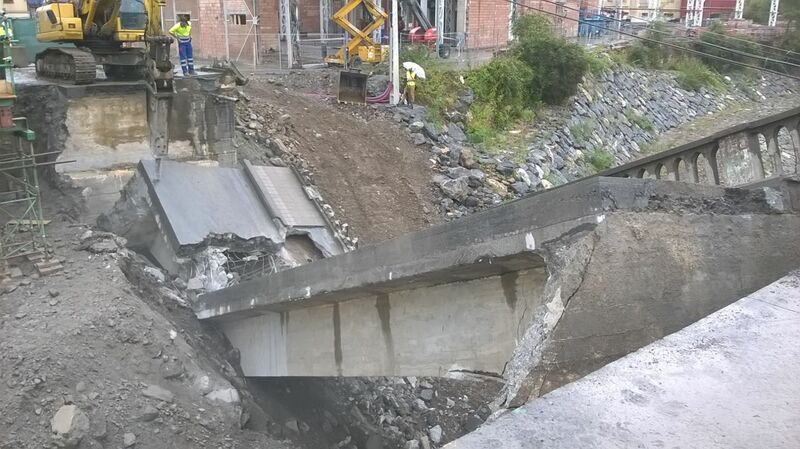 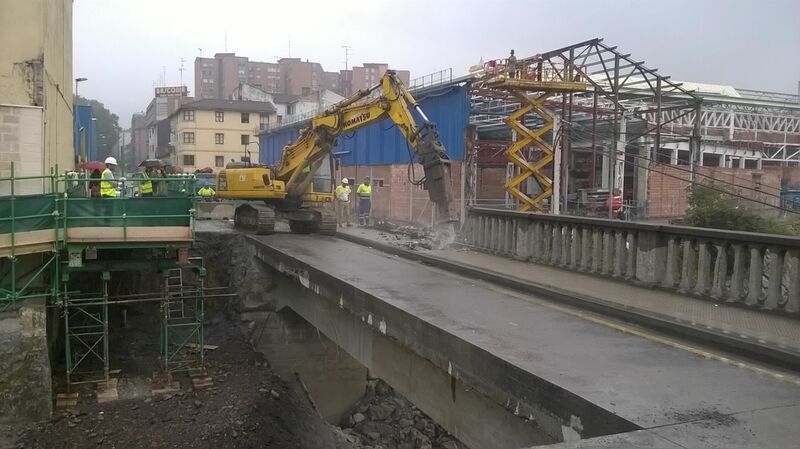 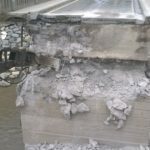 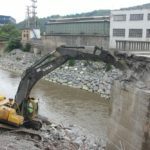 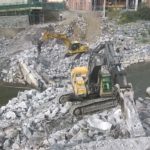 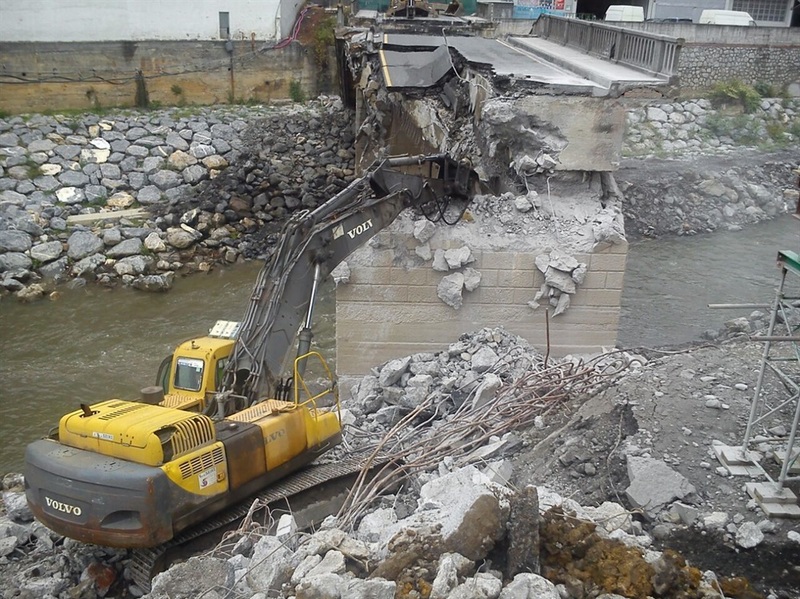 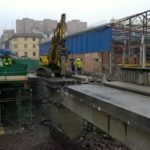 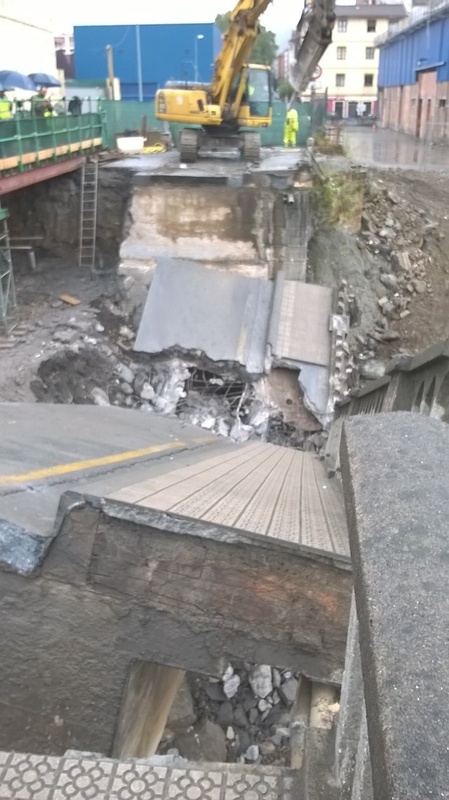 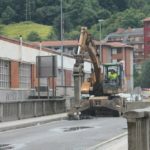 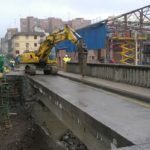 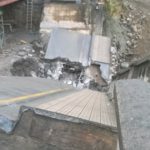 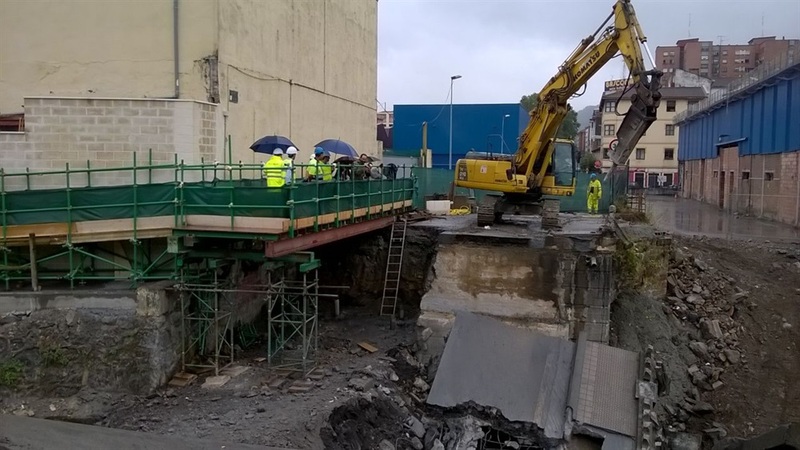 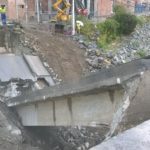 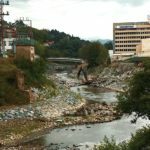 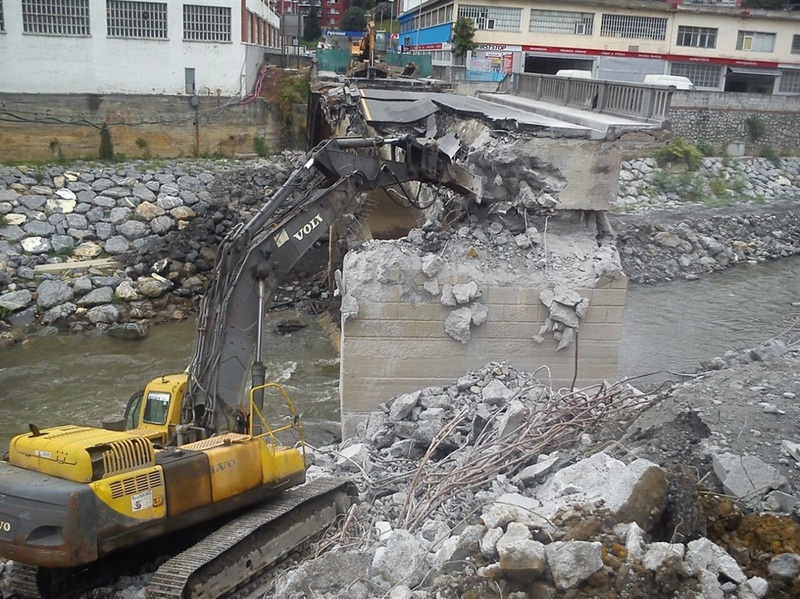 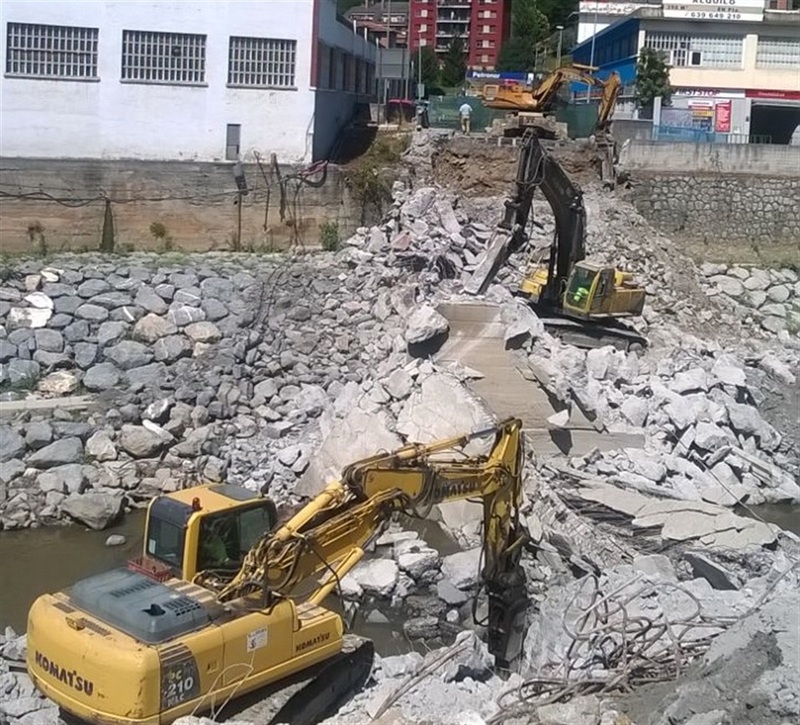 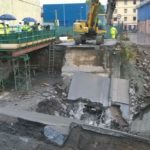 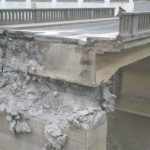 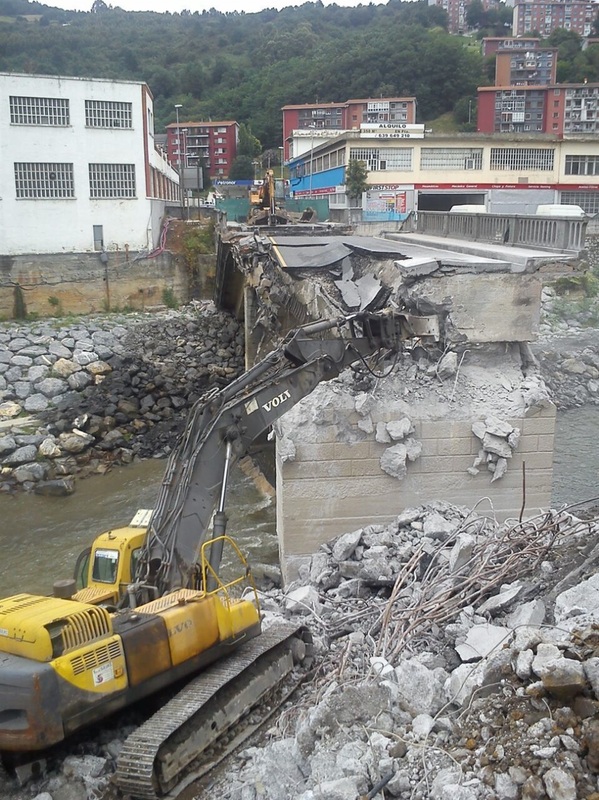 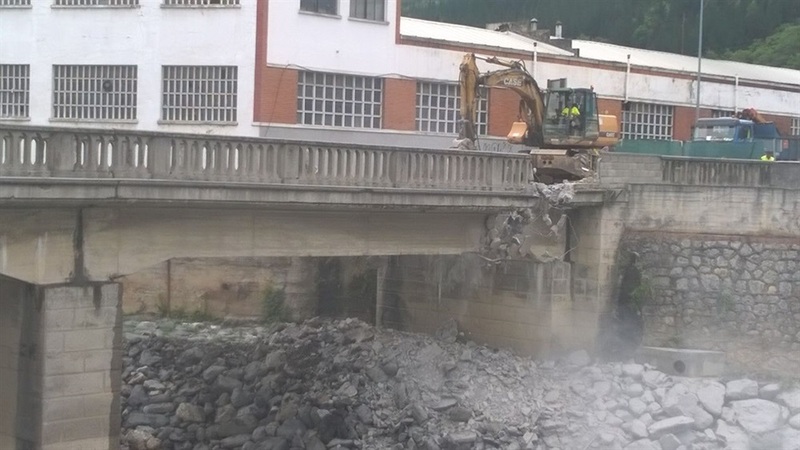 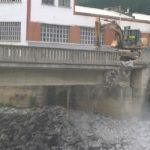 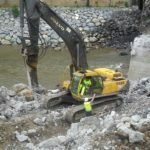 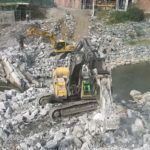 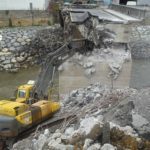 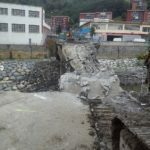 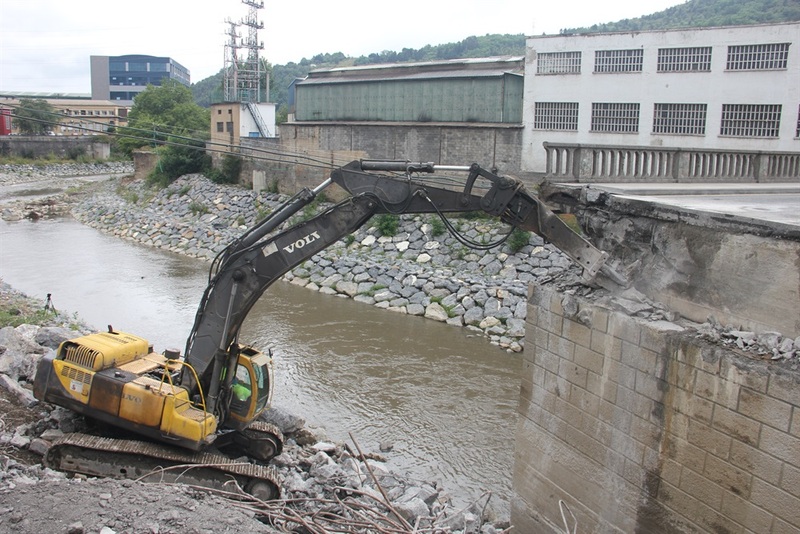 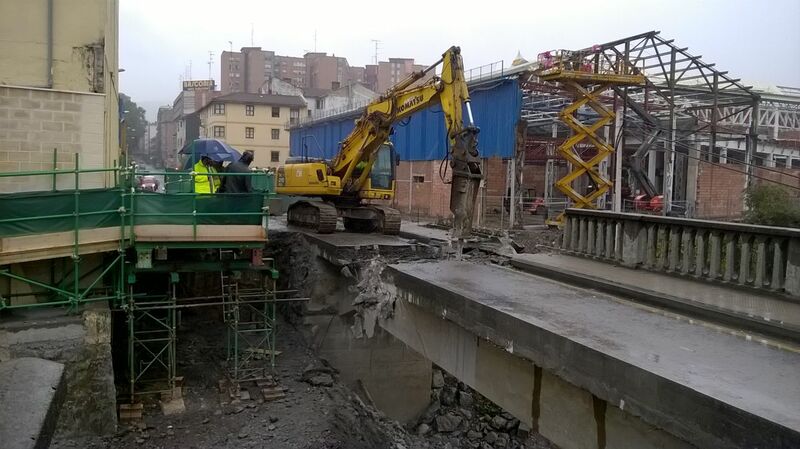 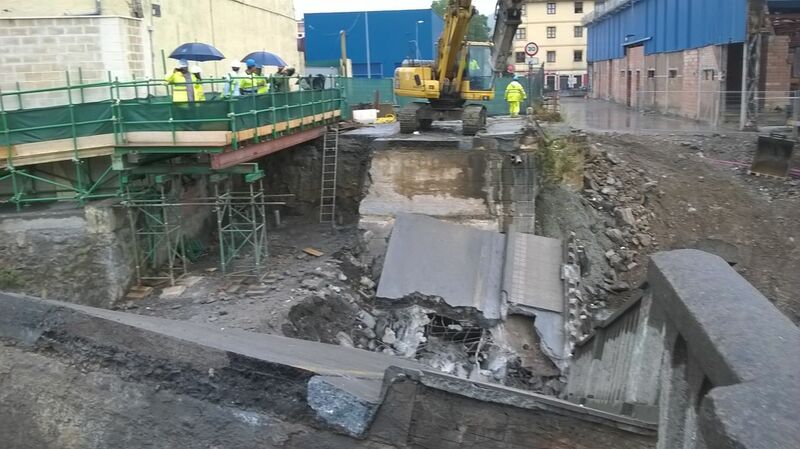 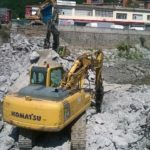 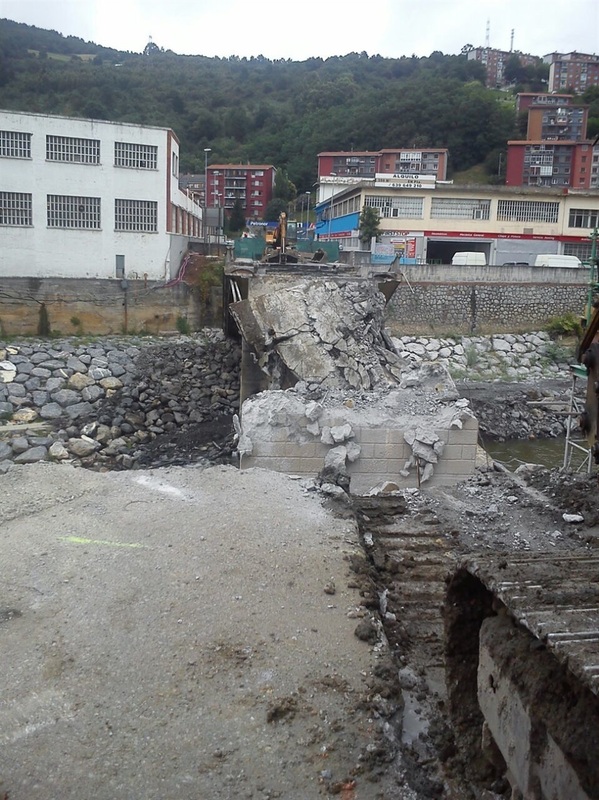 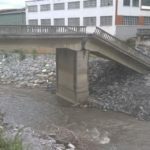 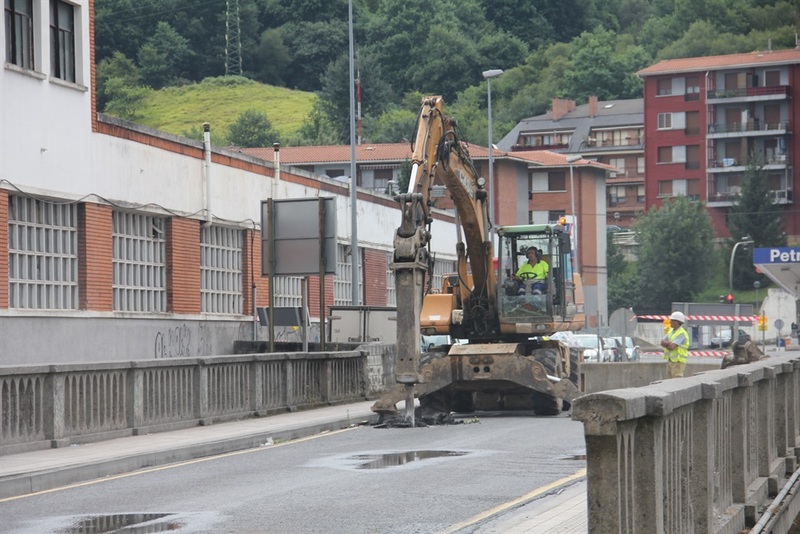 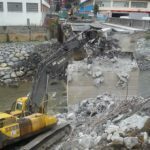 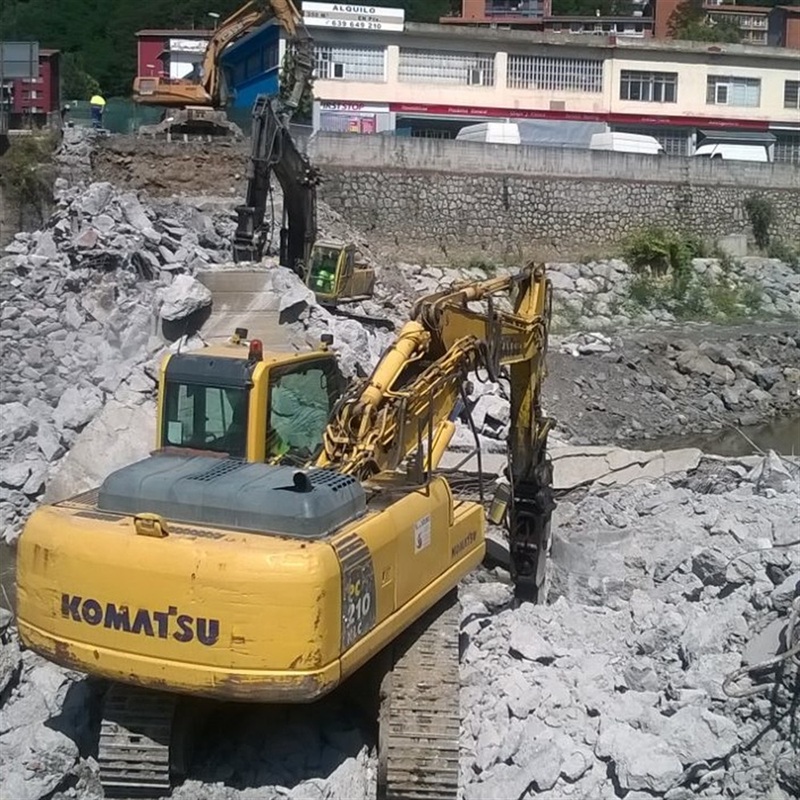 URA, the Basque Agency under the Department of Environment and Territorial Planning of the Basque Government, begins today the demolition of the Urbi bridge to substitute it for a higher hydraulic capacity one.? 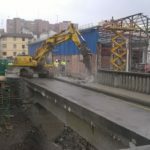 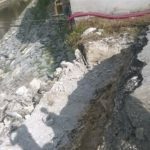 The new infrastructure, work by Viuda de Sainz, have a maximum width at its location (13.60 meters) and consist of two lanes of 3.30 meters, two sidewalks of 2.50 meters each and a 2 meters wide “bidegorri”.?? 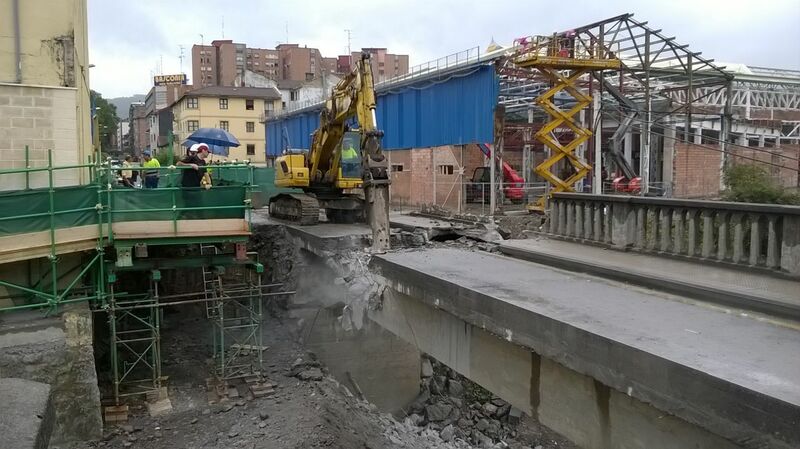 The fact of moving from the current 9.80 meters wide to the final 13.60 meters, affects how to execute the work and that the difference of 3.80 meters of space has prevented to install a parallel footbridge to the bridge. 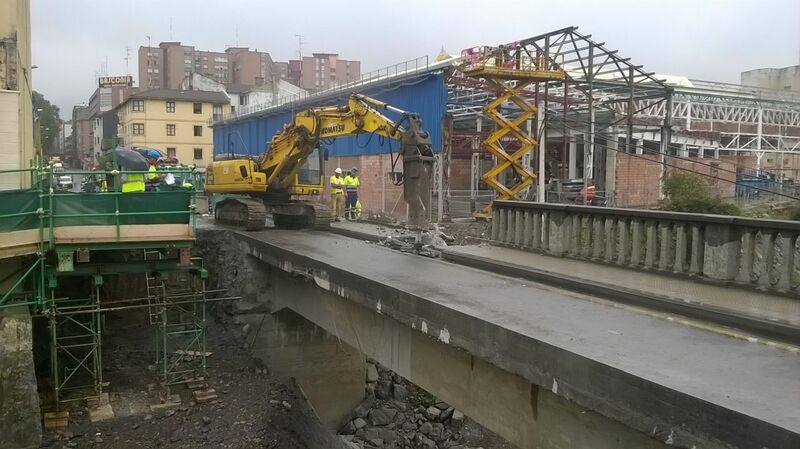 Hence there has been a need to adapt the way of the margin next to the pedestrian bridge.?? 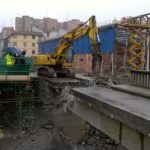 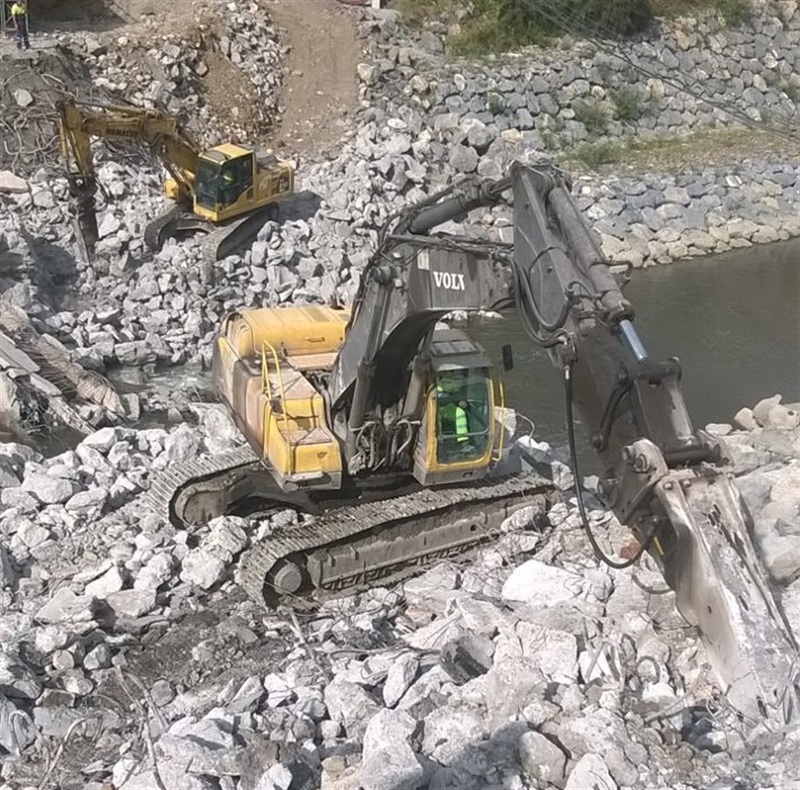 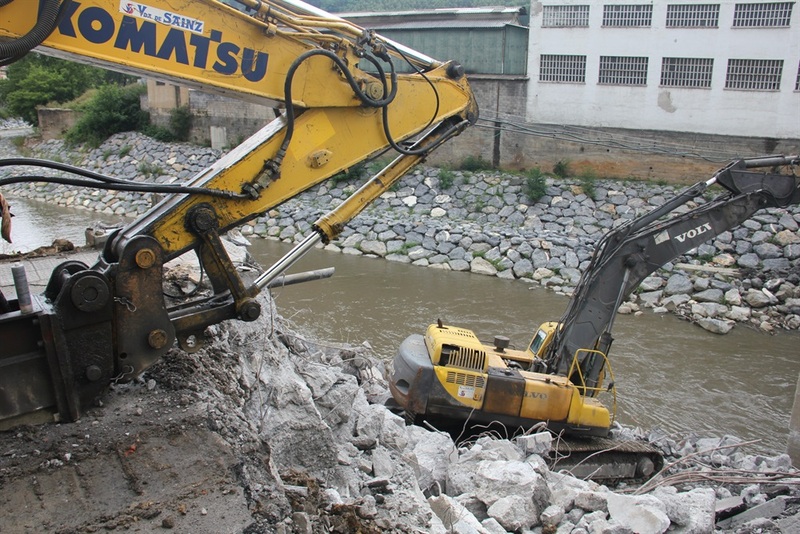 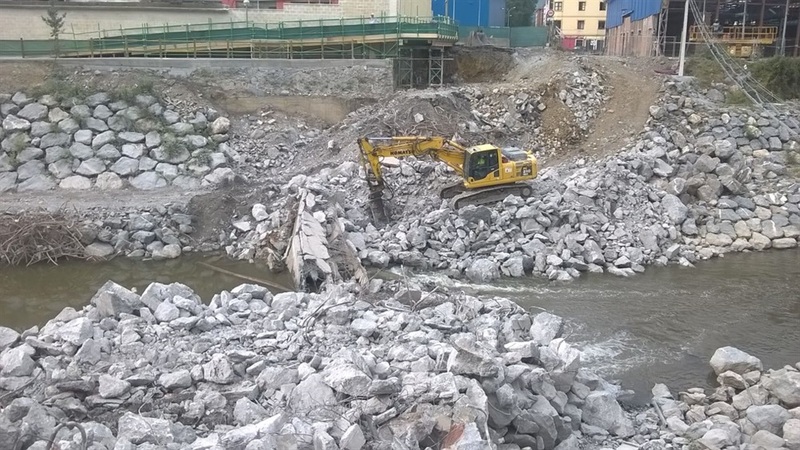 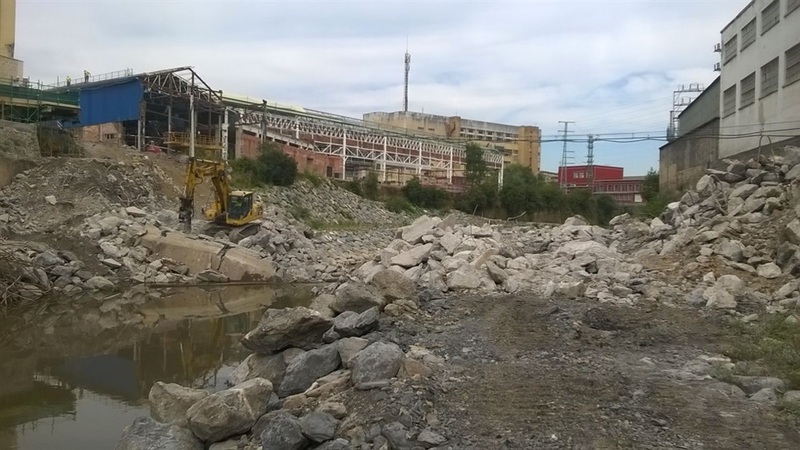 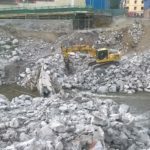 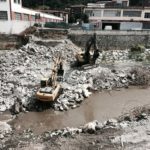 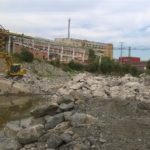 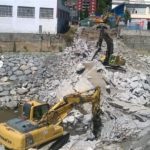 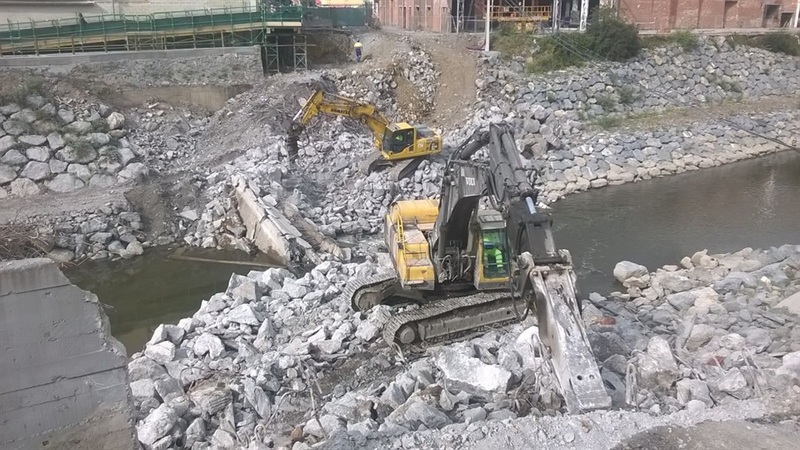 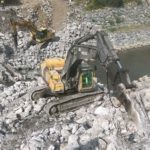 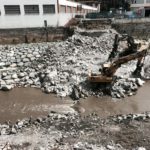 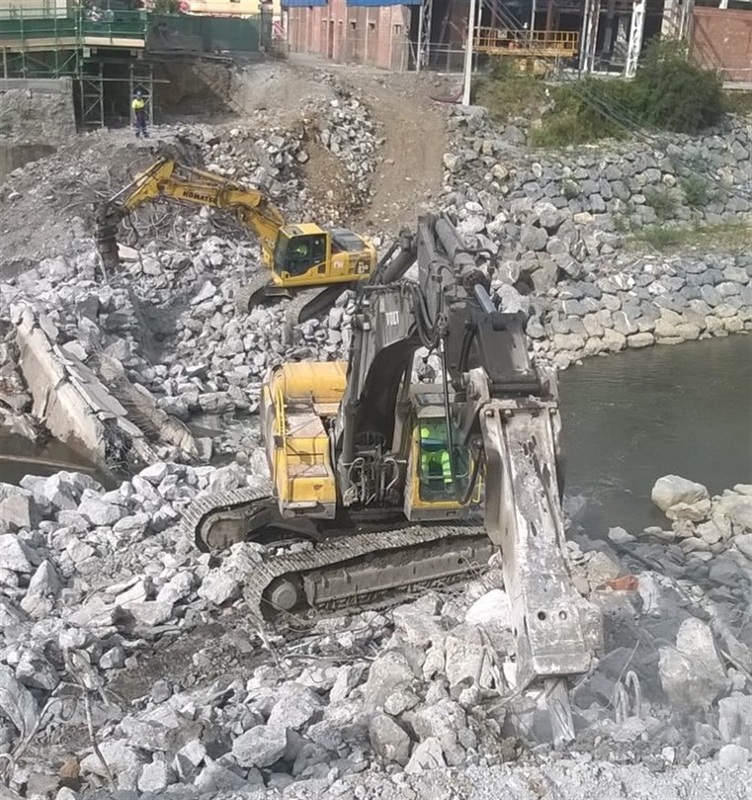 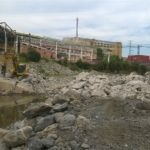 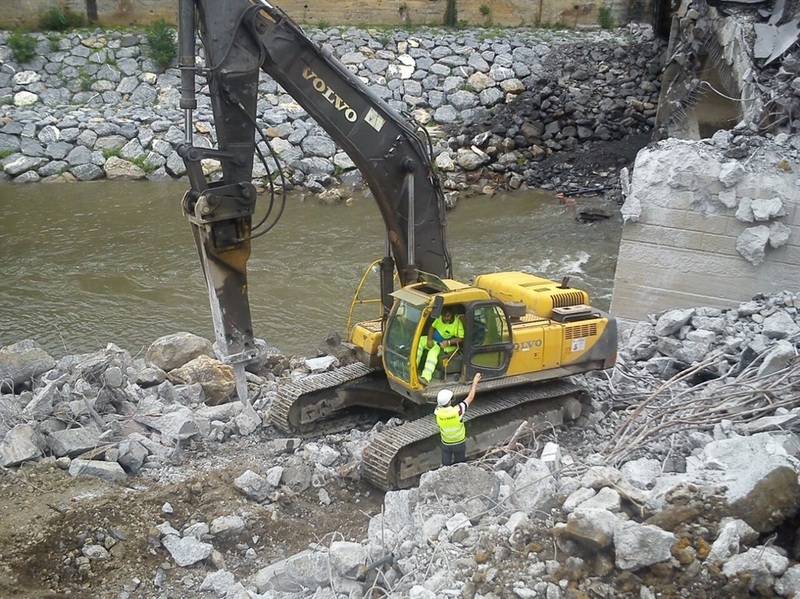 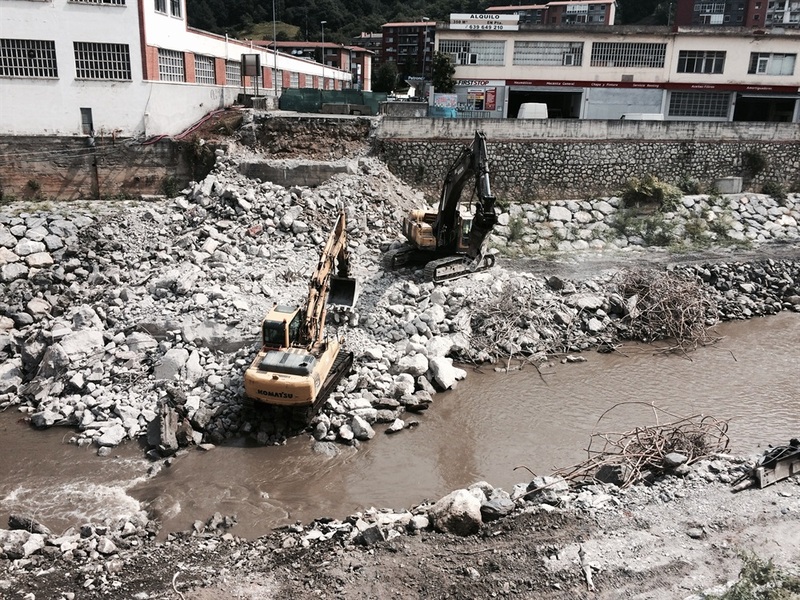 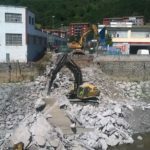 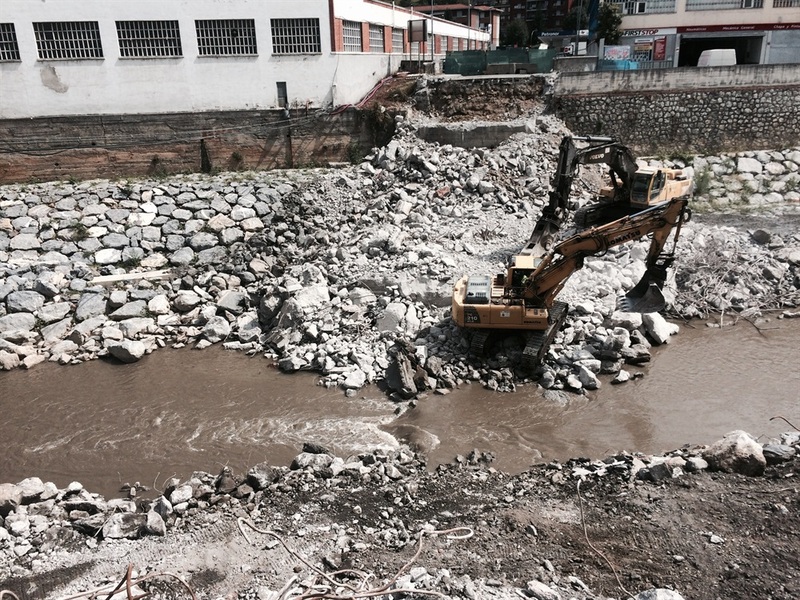 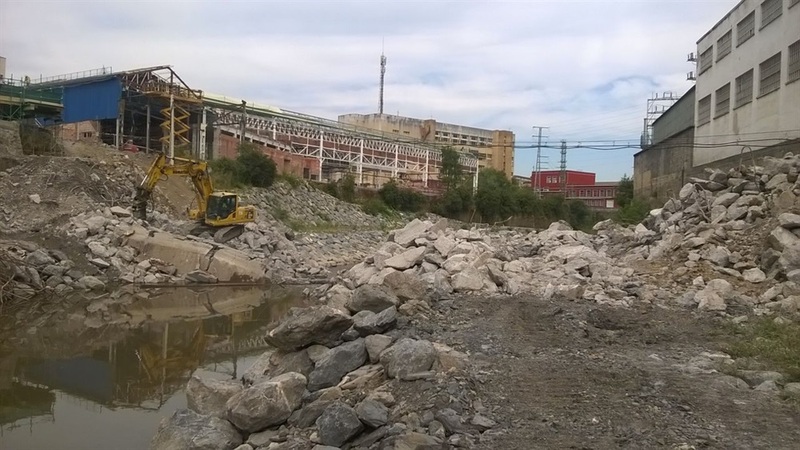 The replenishment on course -along with recently replaced Bridgestone Bridge, the demolition of the dam of Urbi and the expansion of the hydraulic section of the Ibaziabal River in the stretch already being carried out- will eliminate the risks posed by the insufficient drainage capacity of the channel across the industrial areas of Basauri-Galdakao and Zarátamo. 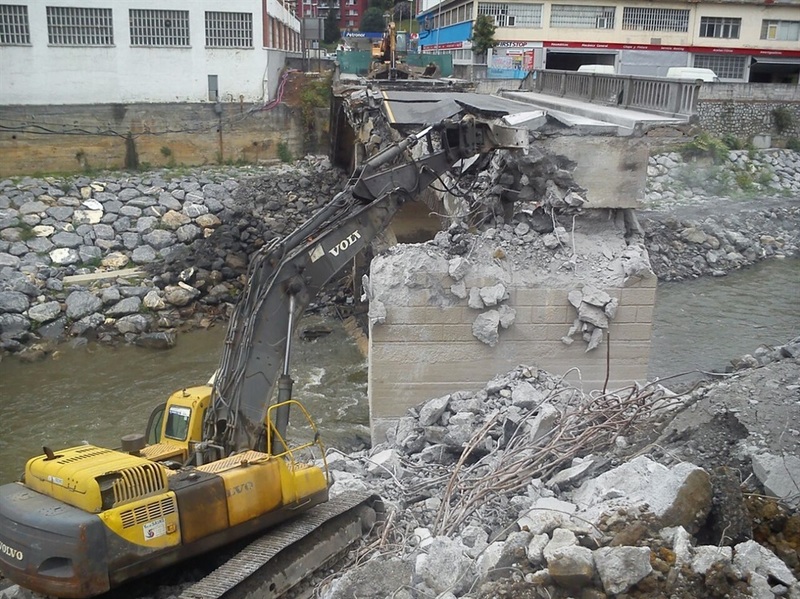 The viaduct now affected by the Channelling project of the Ibaizabal has three equal installments of 20 meters long and 9.80 meters wide, supported in stirrups and two intermediate batteries that not being aligned to the Ibaizabal river hindered the flow of the water, creating an elevation of the blade of water in high water episodes. 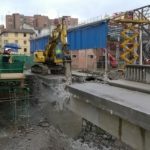 In order to minimize the inconvenience for the users of this viaduct, the Basque Water Agency (URA) has enabled a footbridge to cross the riverthrough the Bridgestone Bridge and across the road margin enabled between this bridge and Urbi.? 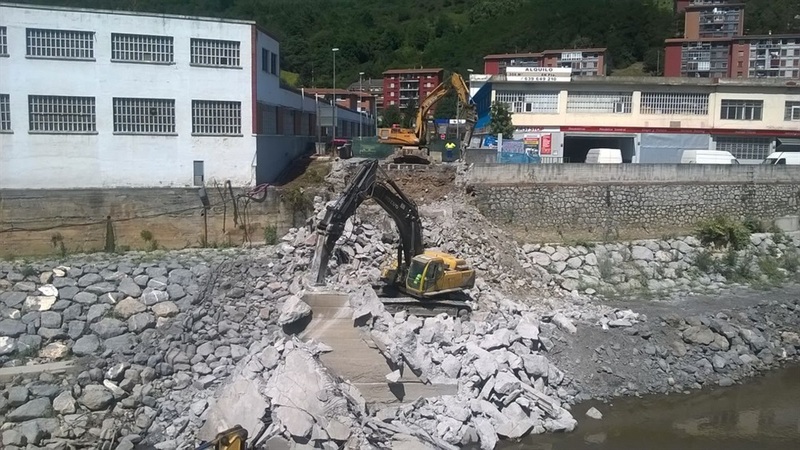 ?They have also begun the works for the construction of the new bridge with the realization of the micro piles that are located under the footbridge and that will be part of the future bridge´s abutments. 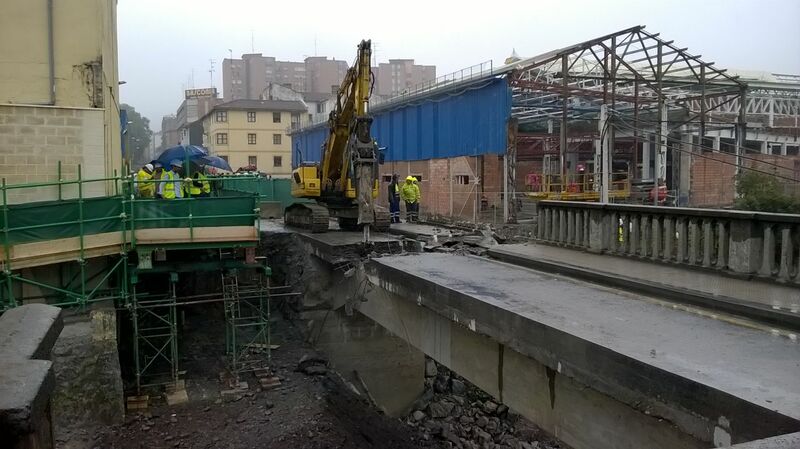 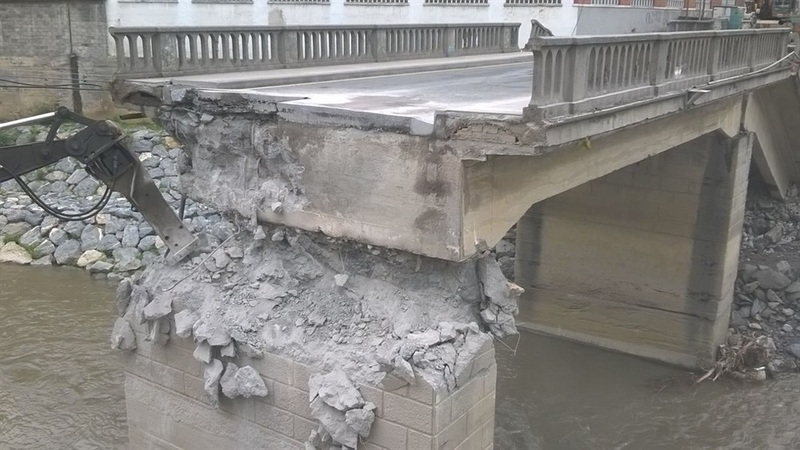 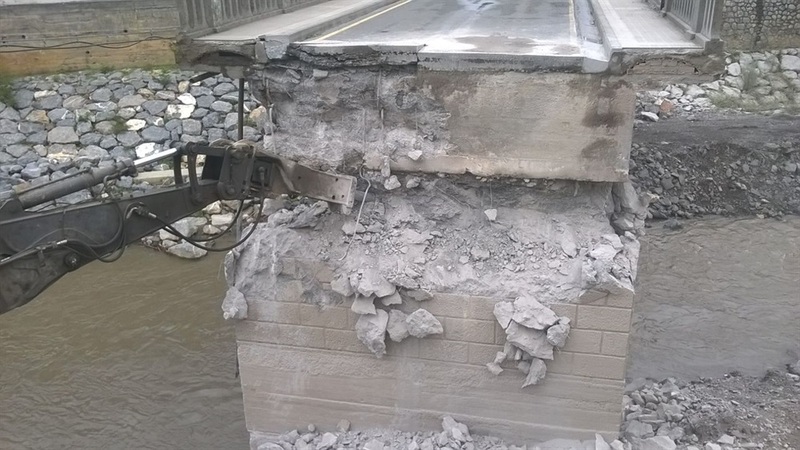 Thus, the dismantle of the pedestrian walkway will only be carried on when the beams on the outside of the bridge abutments have to be placed. 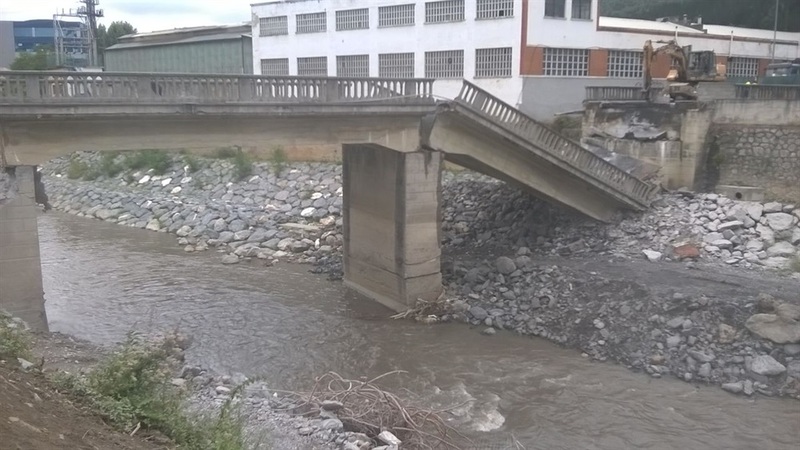 The Urbi Ibaizabal River Bridge on National Highway 634 connects with Urbi Street, formerly called Avenue of the Third of Lacar. 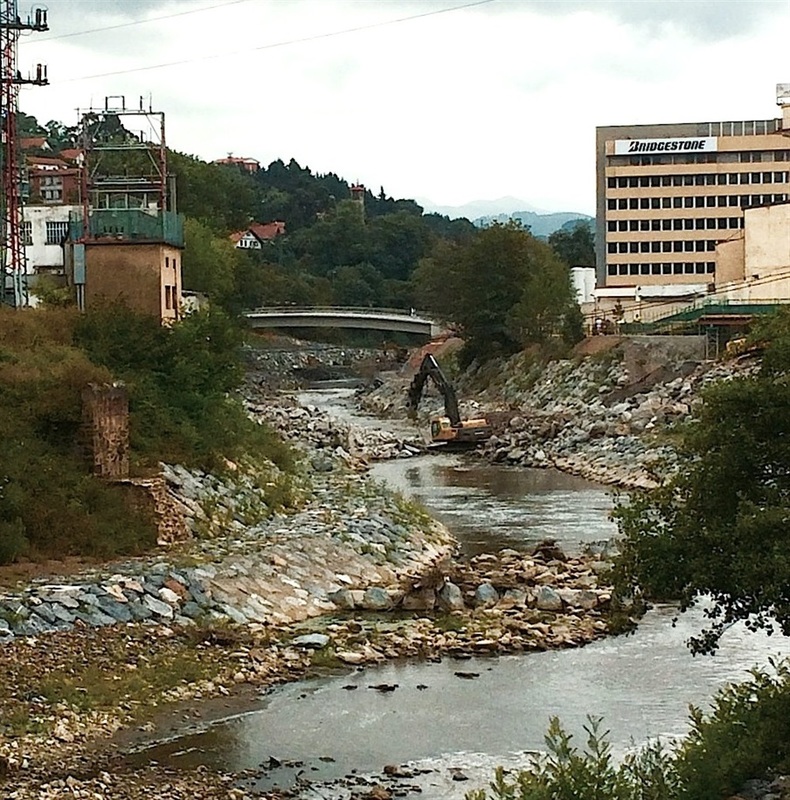 The axis of the river in the area constitutes the boundary between the municipalities of Galdakao and Basauri.? 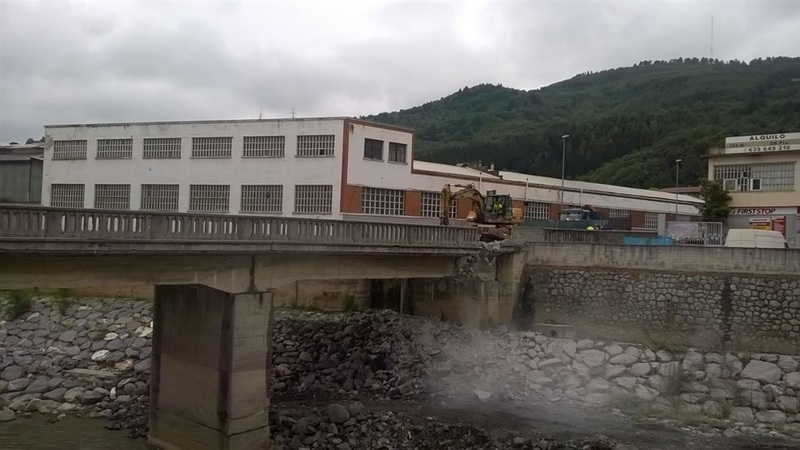 ?Built in 1935 by the Provincial Council of Bizkaia and recepcionado by the municipalities involved in 1936, it was not damaged in 1937, being protected by sandbags during the war. 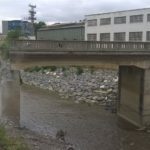 The June 15, 1937 served Basauri access to the Third of Lacar Requetés the First Brigade of Navarre coming from the heights of Santa Marina.? 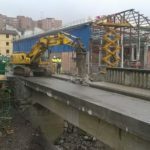 ?In July 1938, the Council noticed the paving of the bridge and its access road to Highway Bolueta to Galdakao (CN-634) and in 1941 the City Council of Basauri in collaboration with companies in the area, He urbanized the current from the Bridge Street Urbi Urbi to bridge Ariz.